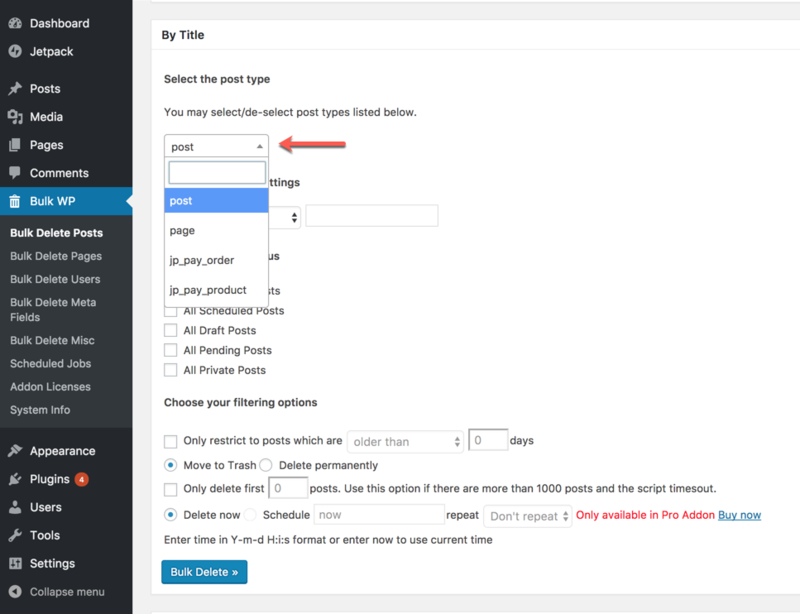 This addon adds the ability to delete posts based on title. 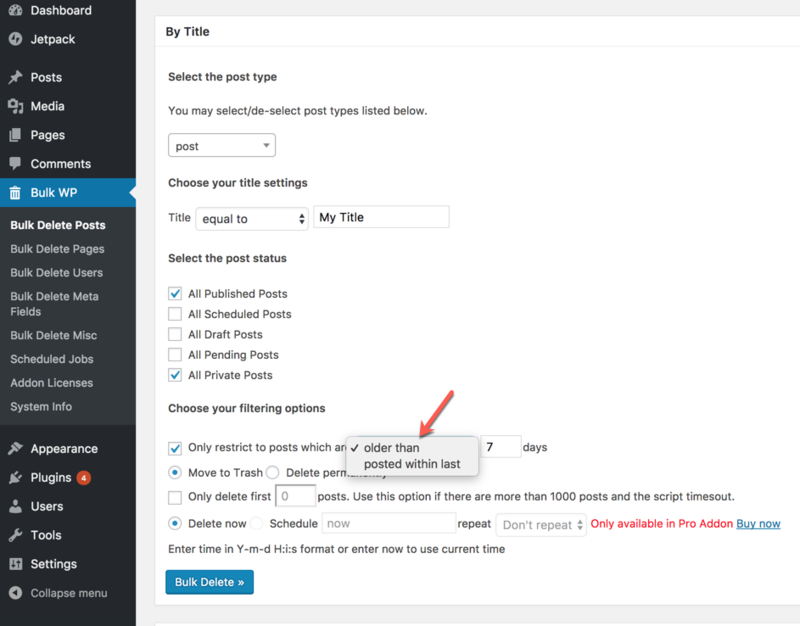 This will be useful, if you want to delete posts based on title. 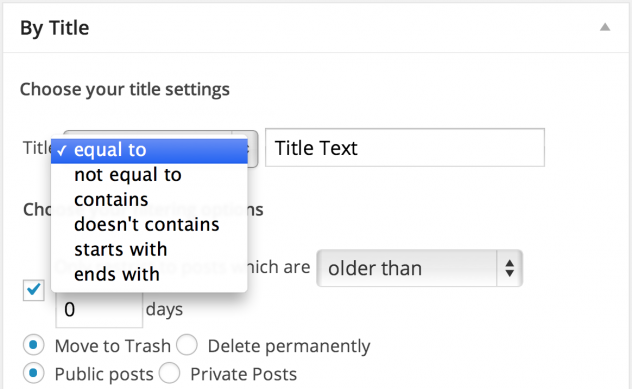 You can delete posts based on the following criteria for title. 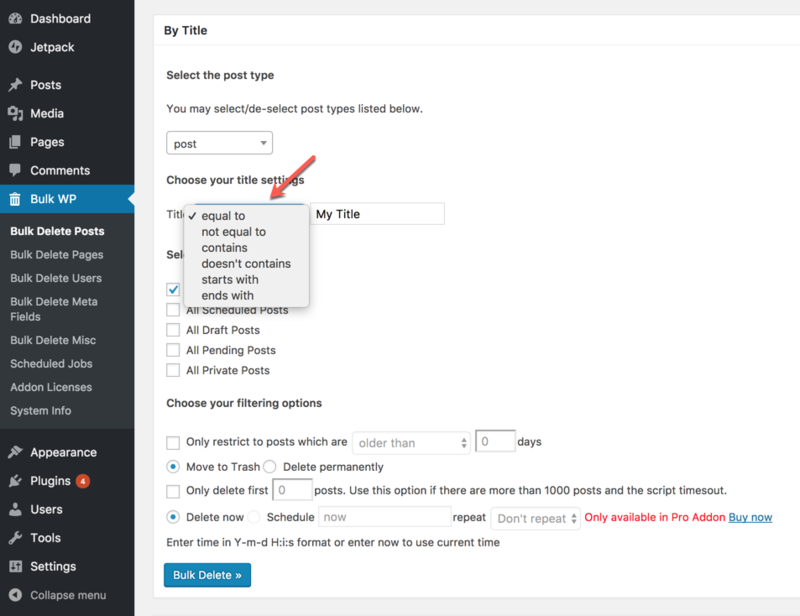 This addon only provides the ability to delete posts by title. 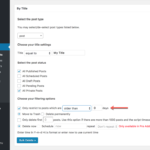 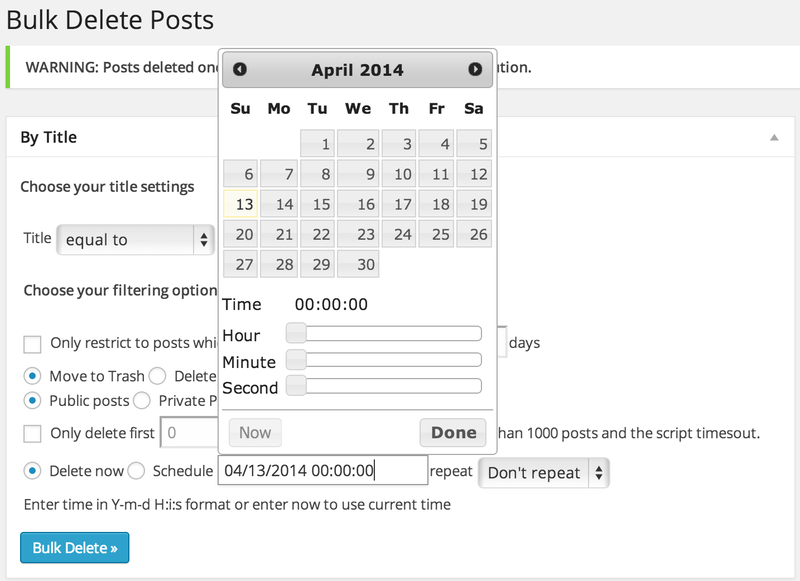 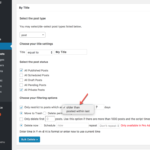 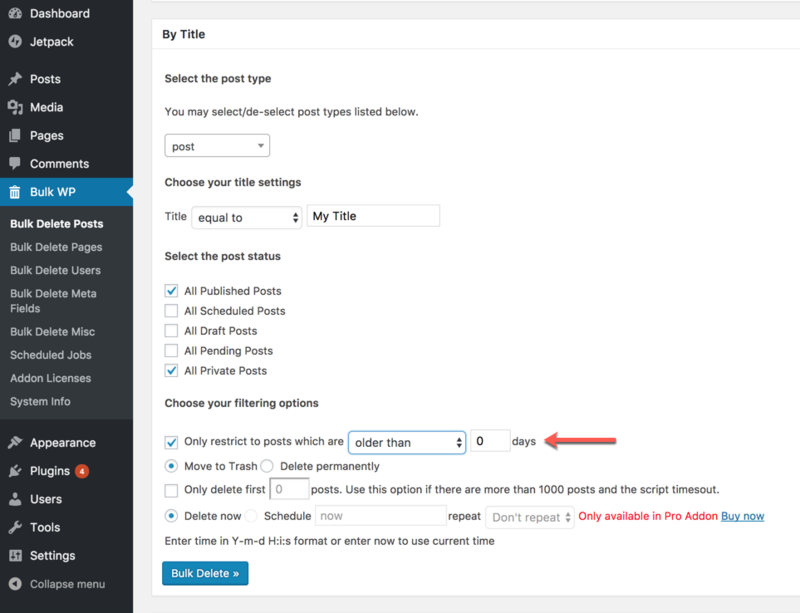 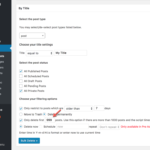 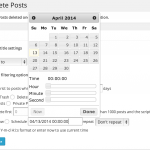 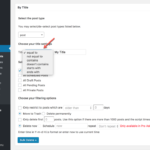 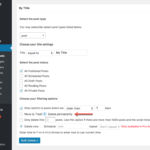 If you want to schedule deletion of posts automatically, then you would need the “Scheduler for Deleting Posts by Title” addon. 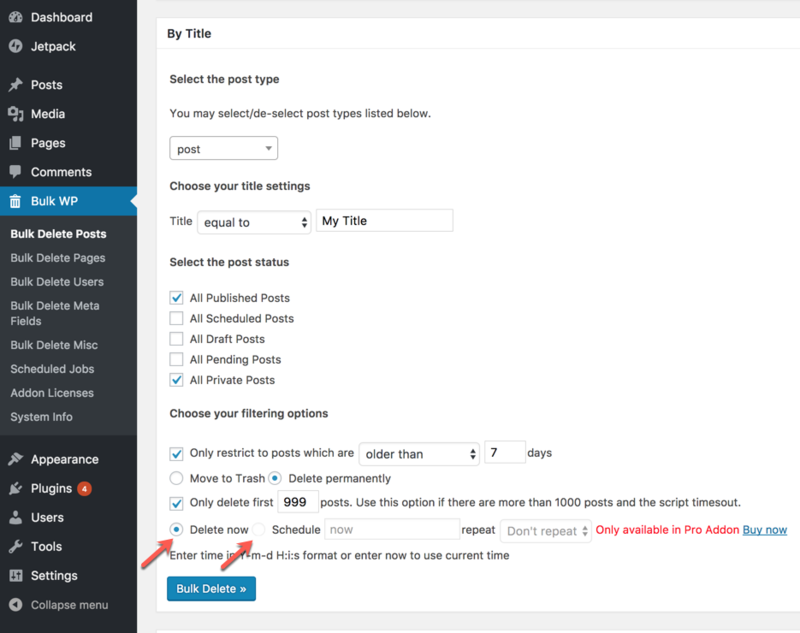 If you want to delete posts that have duplicated title, then check out the “Delete Posts by Duplicate Title” addon. 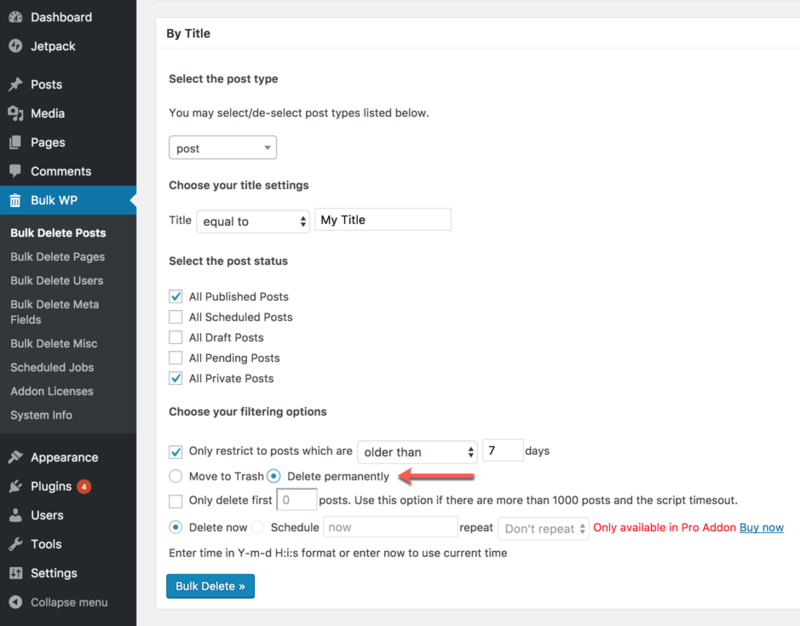 If you want to delete posts based on both content and title, then check out the “Delete Posts by Content” addon. 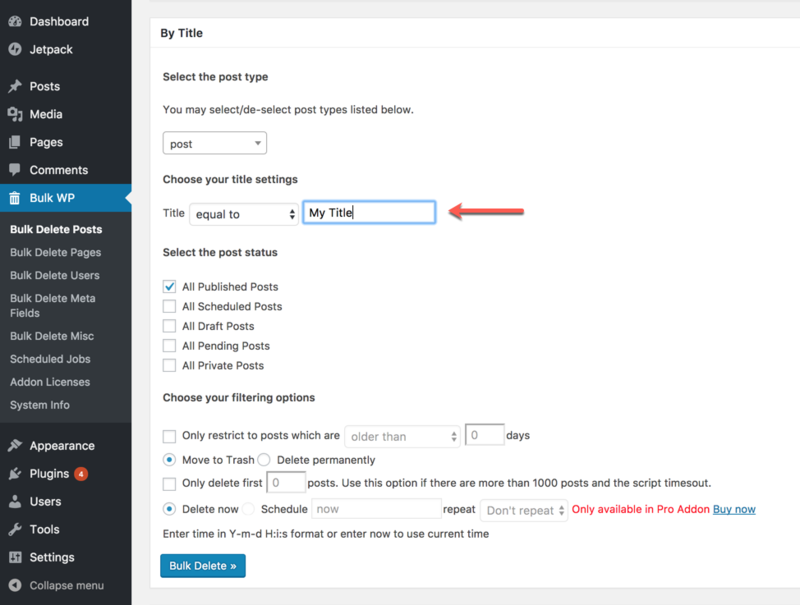 If you want to delete posts based whether they have attachment or not, then check out the “Delete Posts by Attachment” addon. 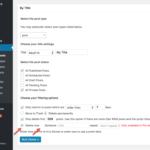 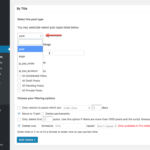 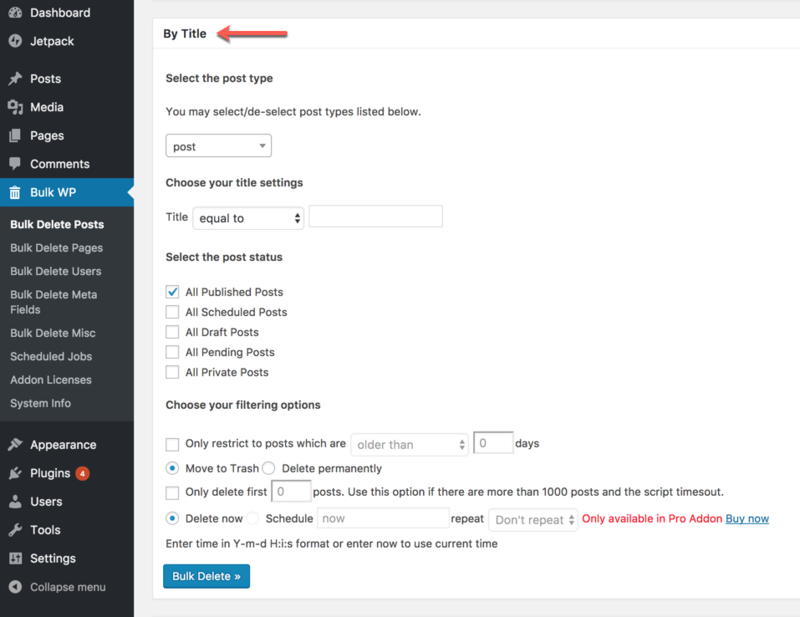 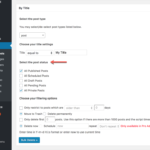 Feature: Added the ability to delete posts by title with the post status filter. 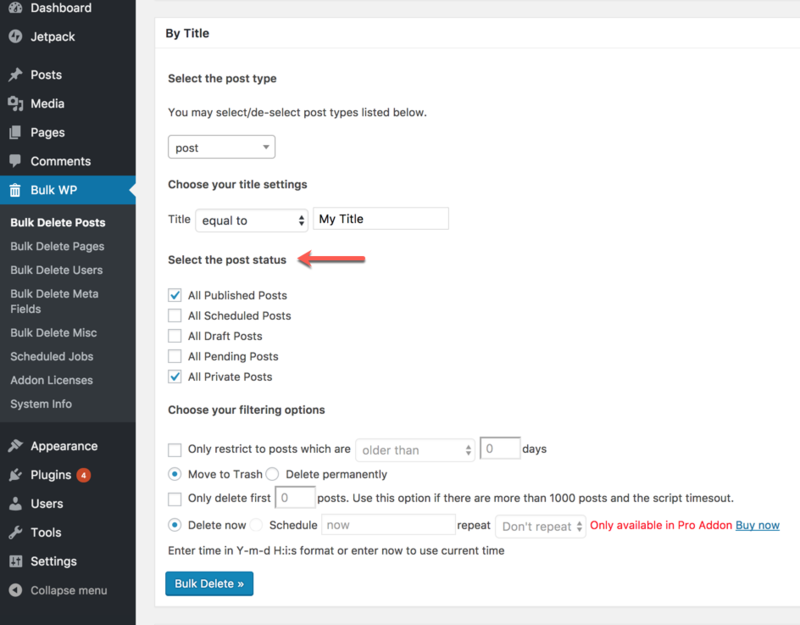 Removed: Removed the ability to delete private & public posts as this filter becomes redundant because of the newly added filter.